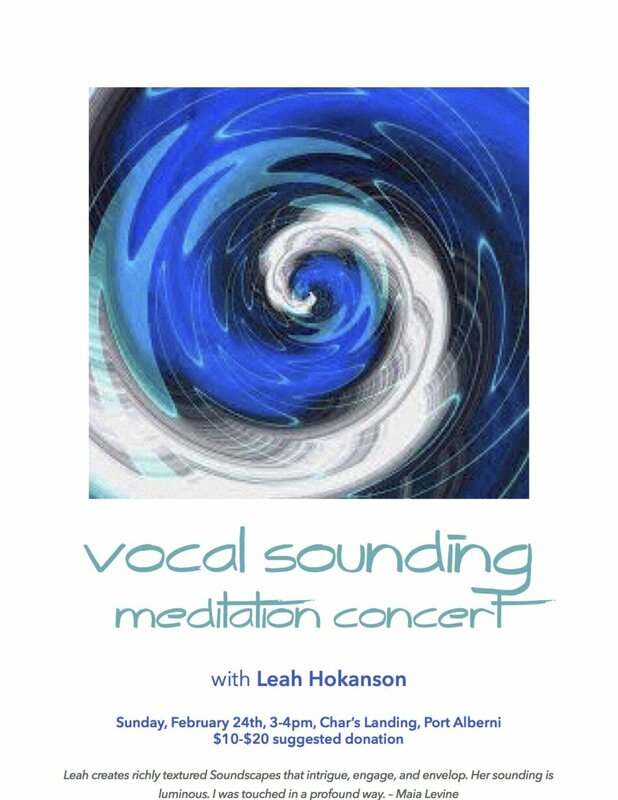 Join vocal sounding explorer, Leah Hokanson, for a unique soul-sounding journey that combines vocal sounding performance, listening practices, and meditation in a gathering of community. Vocal sound healer, Jill Purce, writes: through listening and sounding … “you are completing a circuit of attention and this enables you to go beyond the thinking mind.” Come and experience the magic of combined voices in this enlivening, centering, adventurous and engaging meditative environment. Leah’s voice is amazing, and just following where she went – with ease I opened my heart. The energy in the room was so loving and experimental, so inviting to come play vocally… . … a meditative experience for me – centering and settling. I've never listened to sounds this way before.